Inlaws & Outlaws will run at Seattle's Central Cinema for three Pride screenings June 22 and 23, 2008. Filmmaker Drew Emery will be on hand for Q&A's with the audience following each show. Never been to this local treasure? You're in for a treat! 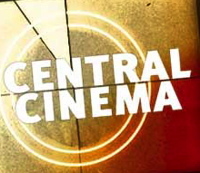 Located in the Central District at 21st & Union,Central Cinema is Seattle's only pizza & beer movie theater. How: Tickets are just $5.